This is my Chinese bowl bought and placed on the center of my dining room table at least 12 years ago. It's quite special to me. Do you have anything that's special to you and RED? Why don't you post it for Ruby Tuesday? Spoke too soon, there I am :). Nevermind (in my best Roseann Roseanna Danna voice). Your bowl is beautiful and a real keepsake. Oh, Mary, I can't tell you how much I am enjoying your red meme. Thanks so much for hosting each and every week. And, thanks, too, for always putting Mr. Linky up the day before. I love your pretty bowl and sure can see why it is special to you. Very beautiful. I love chinese plates and bowls too, they are so delicate. That's a beautiful bowl. Happy RT. Mary, I love the bowl. It's very beautiful. The bowl is beautiful. I can see why you like it so much. wow! pretty antique....nice one...glad to be here! Hi there Ms. Ruby Tuesday! my entry is up. 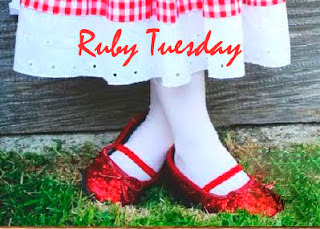 I love this ruby tuesday meme of yours! This bowl is so special, it should only be used for decorations. Lovely Chinese bowl--so nice to have special treasures that we love. That must be very important to you. Do you keep fruit in it? Red apples would be nice! A stunningly beautiful bowl! Love the design that seems to tell a story! 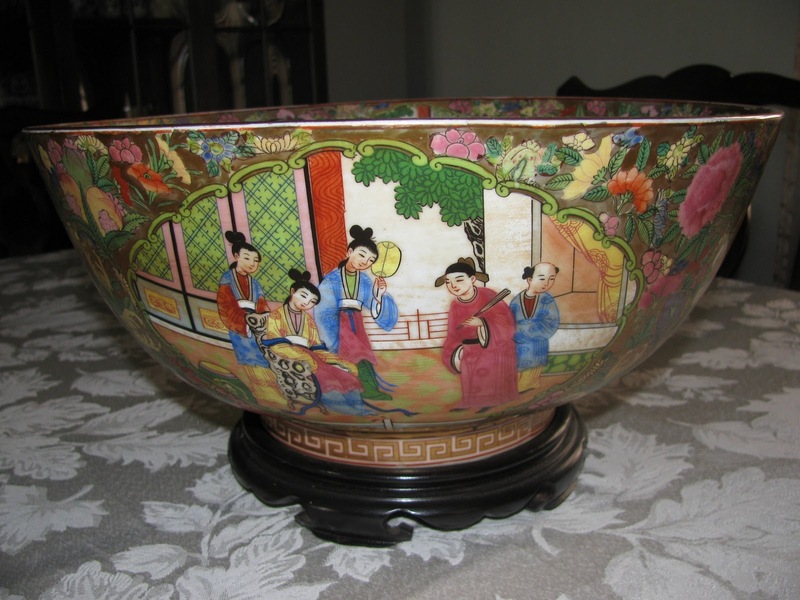 there is a history in that Chinese bowl. lovely! I love Ruby Tuesday and loving it more..
hi, late post am glad i was able to submit it. happy RT! I like finding that special place to keep a prized possession so I can see and enjoy it on an everyday basis. I love joining Ruby Tuesday! The bowl is beautifully crafted. See you again. I signed but don't know how to link. very pretty.. it's so big.. dropping by for RT. I will start dong the Ruby Tuesday as I have a new post now..